This document describes how to install and configure Joomla on Ubuntu 14.04. 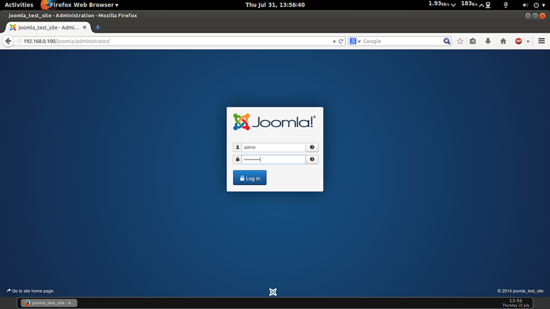 Joomla is an immensely popular and award-winning open source Content Management System (CMS) that enables users to build websites and create potent online applications in an unperturbed manner. Absolute user-friendliness and flexibility make Joomla amongst the most sought-after CMS softwares. 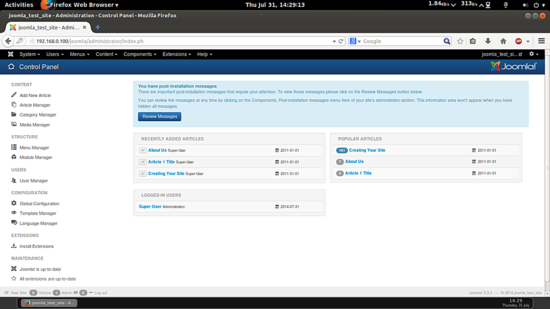 It uses a PHP application, in addition to a backend database like MySQL. 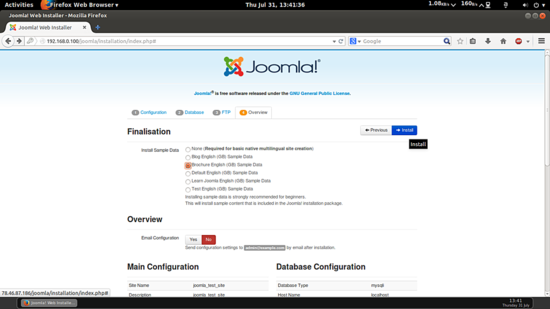 Joomla was created in 2005, and boasts of more than 10,000 add-ons for customized functionality-no wonder than that it remains the second most popular virtual content management site. 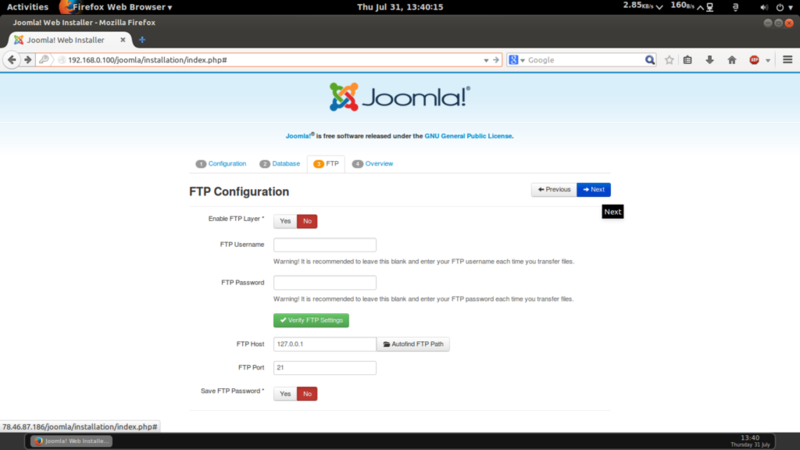 This tutorial explains the process of installing Joomla on Ubuntu 14.04 in the form of a simple-to-follow guide. how 2 fix it ??? Thanks a lot for your very complete explanation. I have searched the web fior similar articles, but yours is the most complete, understandable and clear. Everything was fine adn worked perfect. Thanks again. much appreciated the effort to put together this great tutorial. Wow, installed it in some 10 minutes, and it's working! Thanks a lot! Great tutorial, very useful, but missing new prompt when entering "mysql -u root -p"
Great work, this is a real usefull Tutorial, thanks a lot. Definitely a clear and complete tutorial. Congrats for this great job! It's really crappy to build a tutorial, have people asking questions (Ajax loading error) and not reply to it. I've got the same problem, I'll know I'll find a solution somewhere but if you're not willing to support your tut/explanation, then the whole value of this tut is worthless. It seems to be a good tutorial overall. However, this does not work well. 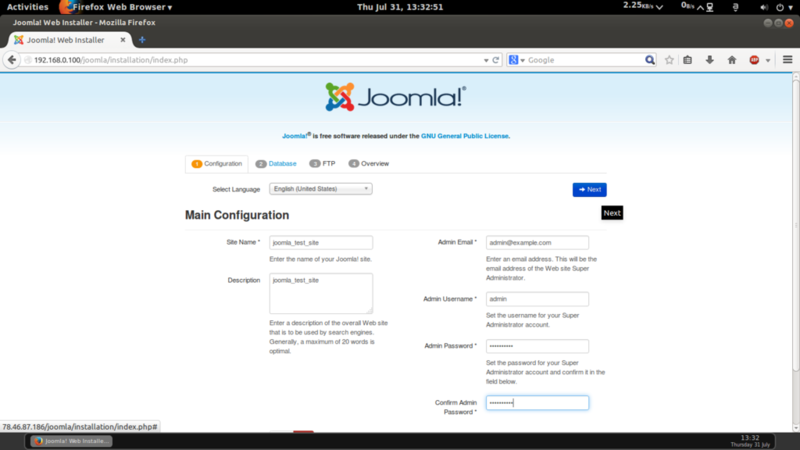 There is not a clear explaination about the users that MySQL needs and the permissions required for Joomla. The Joomla management console eventually loads but does not save data and keeps reloading. Who is www-data? Does this user need to be added to the server? Does this user need to be added to MySQL? 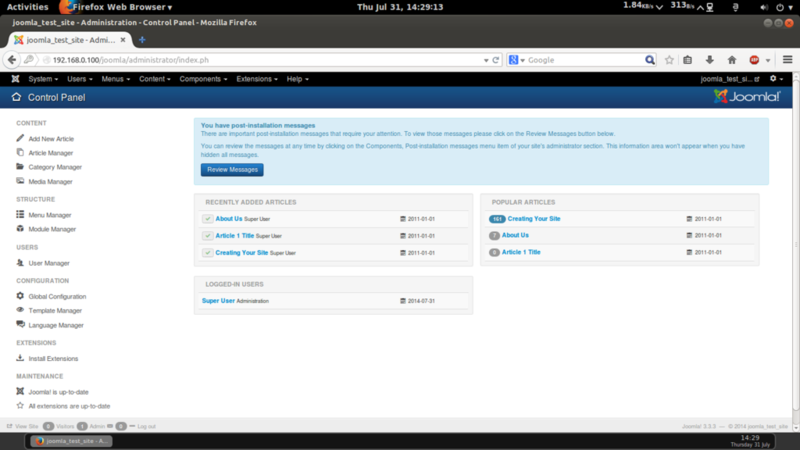 The Joomla support community does not seem to be helpful at all. These issues would not even arise if people would have done as they were supposed to from the beginning. 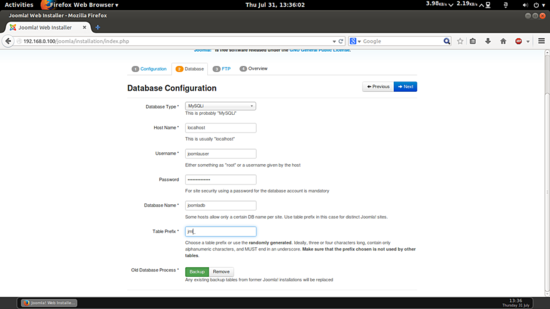 The MySQL user is created in chapter 2 "Database Initialisation" of this tutorial. The user and password that you add there is later used to setup joomla. Will this work on Ubuntu 14.04 Desktop instead of 14.04 server? Why did you include nothing about the apache web container installation? And what the 'www-data' user? This does not exist on my Ubuntu 14.04 install. Please clarify. 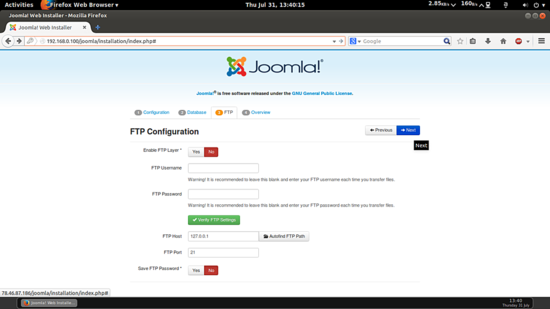 I've installed Joomla successfully on Ubuntu 16.10, but when I enter Site Name, Admin Email, etc on http://......../joomla/installation/index.php#, then press 'Next', the values are cleared and I'm informed that Site Name, Admin Email, etc are required fields. I have erred at some point - even though the joomla installation has unziped into /var/www/html/joomla I am receiving a 404 error and I can't solve the issue. 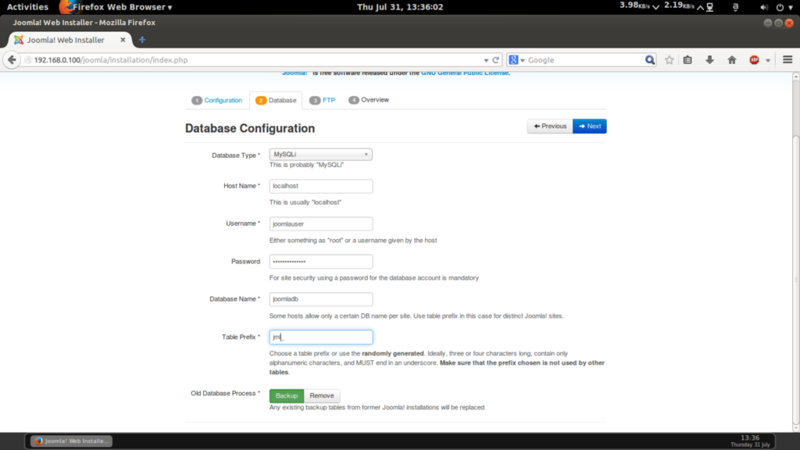 It may be that the databases in MySQL have not been properly setup and proper permissions set; however I can't seem to get back to configuring MySQL to add the data bases. I am an old unix user but it has been quite awhile so I am requesting your assistance (i.e. as though I am a complete newbie). I hope you can help. The instructions are really useful and appreciated, I just didn't follow them correctly. Thank you for your good advice. 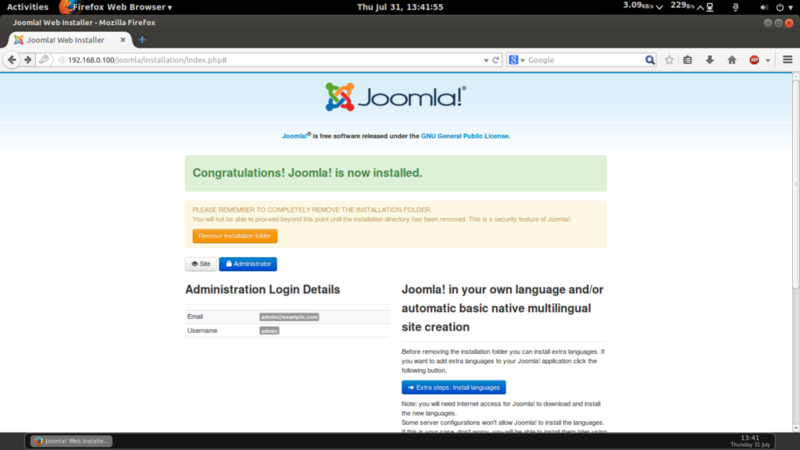 How to install Joomla on Ubuntu 14.04 as virtual machine image in ova format, compatible with vmware and virtualbox.